The Harpo is a modern designed low stool with bowed legs and a wide disk shaped cushioned seat. Extremely easy to keep clean and maintain. Available for delivery 4 weeks from order. 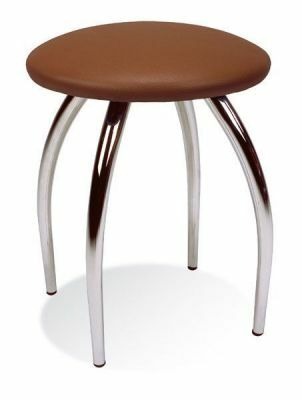 Designer low stool, this stool is versatile and can be used in a wide range of commercial applications. Expect a four week lead time for this item. Free delivery for mainland UK customers.